We're happiest when you're Healthy at Home. 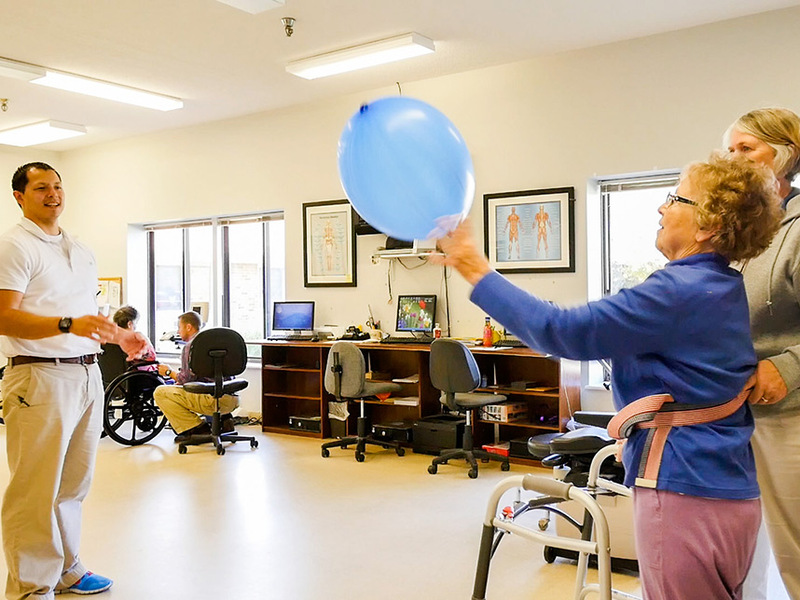 At Edgewood Manor Nursing Center, we believe that family deserves the best, so our "Homeward Bound" rehabilitation program combines cutting edge technology with proven therapeutic programs to get our residents to succeed and back home whenever possible. Contact us today to find out more about what Edgewood Manor Nursing Center can do for you! Edgewood Manor's skilled nursing facility provides both short-term rehabilitation and long-term care at the highest standards. We provide comprehensive skilled nursing care using state-of-the-art medical equipment and progressive treatment plans promoting quality care. An interdisciplinary care team made up of nursing staff, therapist(s), resident dietician, activities and social services develop a customized plan of care that addresses specific care needs and therapy goals necessary for the resident. New "Fine Dining Program" with savory home style food. Residents can pamper themselves in the newly redesigned beauty/barber shop. Creative activities are tailored to resident's tastes and interests. This is a wonderful place to go. Boy, is it ever! The people and the medical attention you get are great. It's almost like I've been on vacation. The people have been so nice to me. I don't think it even feels like a nursing home because everybody is always laughing and cheerful. Copyright 2018 Covenant Care, All Rights Reserved.